Windstorms such as hurricanes, tornadoes, and severe and fast-moving thunderstorm complexes are among the most destructive and economically damaging hazards that affect the United States on an annual basis. Each year, windstorms claim lives, cause injuries, and result in billions of dollars in property damage. In recent decades, rapid development and population growth in areas at high risk of windstorm hazards have increased the Nation’s vulnerability. In 2004, as part of a Government-wide effort to counteract that trend, Congress called for the establishment a National Windstorm Impact Reduction Program (NWIRP), a coordinated approach to achieve major reductions in windstorm-related losses of life and property. In 2006, the SDR Windstorm Working Group delivered to Congress an initial Windstorm Impact Reduction Implementation Plan, which identified research activities needed to improve windstorm hazard mitigation and served as a guide for Federal agencies to coordinate new and existing research to fill knowledge gaps in understanding and forecasting windstorms. This book includes a new report for 2013-2014, which continues to fulfill the NSTC’s congressionally mandated responsibility to provide biennial reports on the NWIRP. Overall, it finds that the Program has successfully facilitated improvements in windstorm forecast models, warning systems, evacuation planning, structural-design technology, and community preparedness. 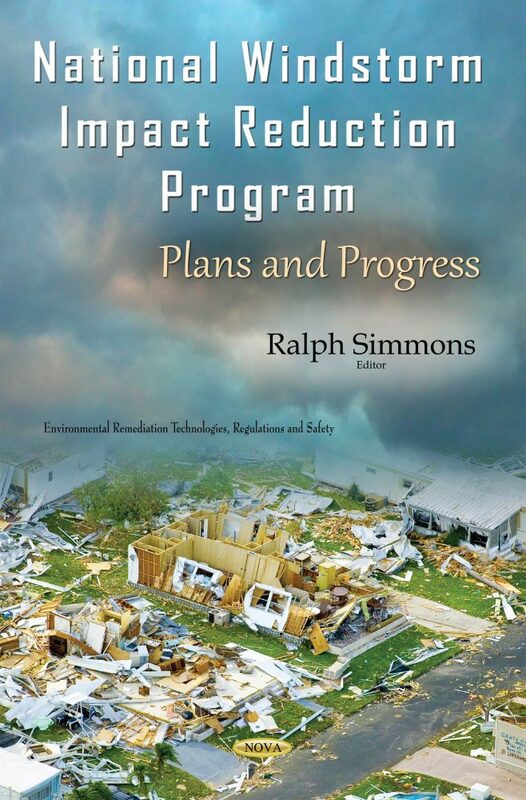 This book discusses the Windstorm Impact Reduction Implementation Plan.